Gish Jen has been praised by Junot Diaz as the "the Great American Novelist we’re always hearing about," and John Updike named her as his literary successor in the 21st century. 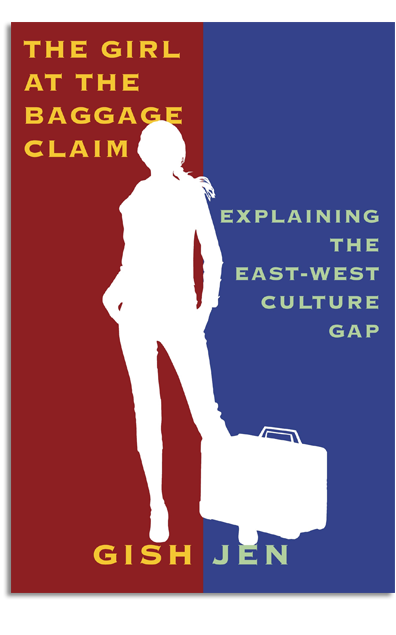 Her most recent book, The Girl at the Baggage Claim: Explaining the East-West Culture Gap, looks at different ideas Easterners and Westerners have about the self and society and what this means for current debates in art, education, geopolitics, and business. Jen writes on her gishjen.com website: "While I think this book will be of special interest to anyone who is teaching or doing business with Asians, or visiting or studying Asia, I hope it will be read, too, by people wanting just to understand the world and themselves." 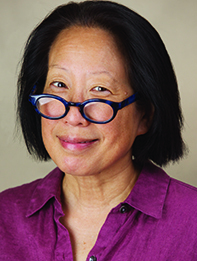 A 2013 profile published in the Boston Globe offers insight into Gish’s literary appeal: "What’s most unique about Gish’s voice is that it’s humorous," says Jennifer Ho, associate professor in the University of North Carolina-Chapel Hill’s Department of English and author of Understanding Gish Jen. "There's a certain type of witty irony that she employs. She also has a generosity of spirit toward all of her characters, even the ones who aren’t particularly likable." The author of six previous books, including The Love Wife (2004), Mona in the Promised Land (1996), Who’s Irish? (1999), and Typical American (1991), Jen has been published in The New Yorker, The Atlantic Monthly, and dozens of other periodicals and anthologies. Her work has appeared in The Best American Short Stories four times, including The Best American Short Stories of the Century, edited by John Updike. Nominated for a National Book Critics’ Circle Award, Gen was featured in a PBS American Masters’ special on the American novel. Cosponsored by the State Education Department’s Office of Cultural Education, Friends of the New York State Library, and the UAlbany Center for International Education and Global Strategy in association with the launch of its new Global Distinction program.